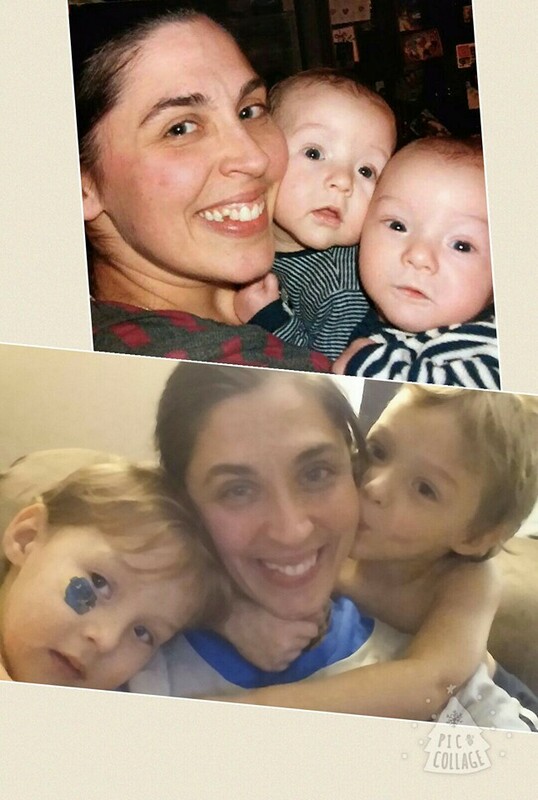 Both during and after my twin pregnancy, I was lucky enough to find a great support system online. I found a great group of twin moms that had been through or were going through TTTS (Twin to Twin Transfusion Syndrome.) One of those moms that I met was Amanda. Not only have I gotten to talk to Amanda and her husband, Andy, in our Facebook group, but I got to meet their whole family 2 years ago (has it already been 2 years?) at The TTTS Foundation’s 25 Anniversary celebration. It happened during Twin Fest, and you can read more about it HERE. Now, I’m happy to share with you Amanda and Andy’s story. 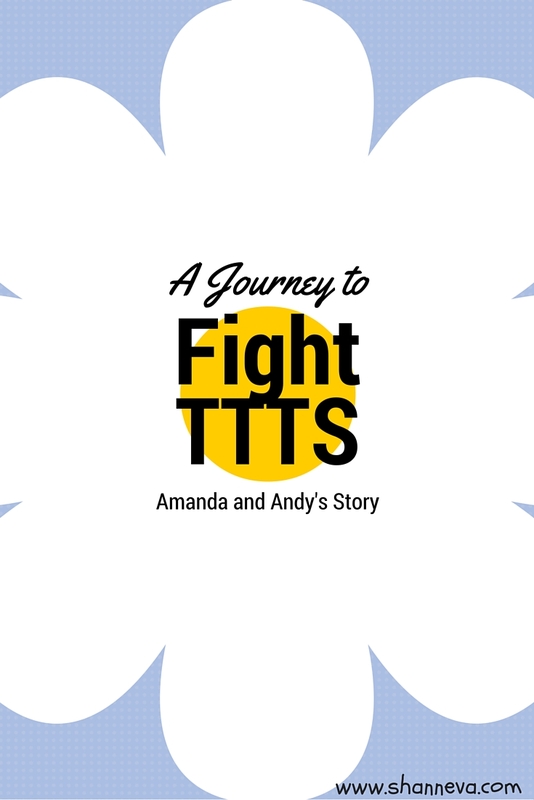 This story is a combination of both Amanda and Andy’s points of view, with a few explanations from me thrown in there. I went in at 7 weeks to confirm pregnancy and get a due date established (I work in retail). I found out at that point that I was having twins. I was ecstatic! Then the doctor came in. She informed me on vanishing twin syndrome, saying that one might not become viable. She also told me that they were Mo/Mo (which means they were sharing both a sack and a placenta, other than conjoined the most high-risk twin pregnancy. I was told to come back in 2 weeks. At my 9 week check up, there was still no membrane (which means the babies were still thought to be in the same sack.) At this point, the same doctor recommend a selective pregnancy! What?!? I said no way, and we went on 2 weeks later. 19/20 weeks surfaced and I was IN PAIN! Like labor pains etc. I went in for my appointment ultrasound, they started the ultrasound, then said- oh! You have twins? You needed to make arrangements with an MFM. We can’t see you today. Great! I called for a referral and they couldn’t see me until 21 weeks. I saw that same doctor during the 20 weeks appointment and voiced my agony, to which she replied, you’re having twins! It will be uncomfortable. There will be difficulty breathing at times because of the way they are positioned. You’re measuring 38/39 weeks which could be normal for you since you have had other children- more space to move around in there. (Note…this is NOT normal) For the pain, you can take Tylenol and icy hot for topical help. By my 21 week checkup, I had grown even more. Mind you, I was also working the week prior! My contractions were now every 15/25-1 1/2hr minutes while I was on my feet! I left work on my lunch to go to my appointment. I finally saw the MFM. We did the ultrasound, and I was diagnosed. My MFM was blunt yet caring and told me EVERYTHING I needed to know short-term. So the doctor came in and told me they were identical, then told me what was wrong. I have a condition called twin to twin transfusion syndrome (TTTS). Basically, the babies have some interconnected blood vessels, so one baby is getting too many nutrients (Recipient) and one baby is getting too few (Donor.) (This causes one baby to have a large amount of fluid in their sack, and the other to hardly have any.) My babies are in trouble. I had an amnio reduction once my husband had arrived and immediately felt relief. They drained over 3L of fluid out of my belly. The thought is that this will change the pressure inside and give the Donor more room and balance the fluids/nutrients between the two babies. My MFM team was AMAZING! Their support was like being part of my family. I opted for amnio reduction first, and then waited a couple of days for the results to see if it worked. We came back and the results were not good. We found out that our recipient baby, Cody, had re-accumulated more fluid, and Christian, our donor baby, had lost fluid. Not good. We talked about our options, we could keep doing amniocentesis, or we could do the laser surgery. There have been over 3000 of these surgeries done worldwide. The only place in MN that could do it would be Abbott, they’ve done 26 surgeries. North Memorial, our MFM team, highly recommended the Children’s hospital in Cincinnati (the closest top 3 center to us) they’ve done over 600 procedures. My original MFM was the one to steer me towards Cincinnati, saying that if her sister was diagnosed the same, she wouldn’t hesitate to bring her there. Funny, how the MFM team occupied the same hospital as my ignorant doctor. We drove over to Abbott to meet with the doctor there since they were local while we waited to here if Cincinnati would meet with us or not. We called Cincinnati in the Abbott parking lot. Amanda spoke to a very nice nurse who discussed their outcomes. They have a 91-93% chance of survival of one baby, 68-70% for both babies. This was a huge factor in our decision. Amanda and Andy met with the team on a Monday, and Amanda had the laser surgery on Tuesday. They severed 35 connections and took out another 3 liters of amniotic fluid. On Wednesday, they check and found TWO heartbeats. Both babies were doing great! For the rest of her pregnancy, Amanda had to take it easy and was on modified bed rest. 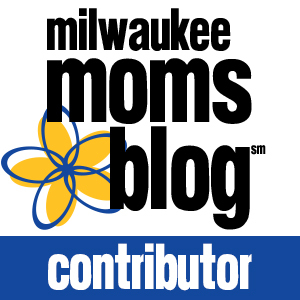 She had to keep up with appointments with her MFM, while still taking care of her family. She made it all the way to 33 weeks, which is amazing. She went into spontaneous labor, and looked good for natural delivery, but after her water broke, she found out she needed an emergency c- section. They thought the placenta was separating from the uterine wall. Cody and Christian were born on August 27, 2012. Cody was taken out first at 2:44pm (they usually take Baby A out first, so that was normal). Christian was taken out at 2:45pm. Cody was 5 lbs and 17 1/4″long, Christian was 4 lbs 2 oz and 17″long. I’m so happy that Amanda was sent to her MFM or their outcome might be much different. Her original OB did not know enough about twin pregnancies or TTTS, as is the case with many obstetricians. If you are pregnant with twins, you need to see a high risk specialist called an MFM. Early and frequent ultrasounds are so important. You need to be the biggest advocate for your babies. Unfortunately, I had to see that OB one more time because she was the only one available at the time. We had the contraception conversation, of which I told her no to getting my tubes tied. Her body language and tone made me feel like she wanted me to regret my decision, but, I never did! 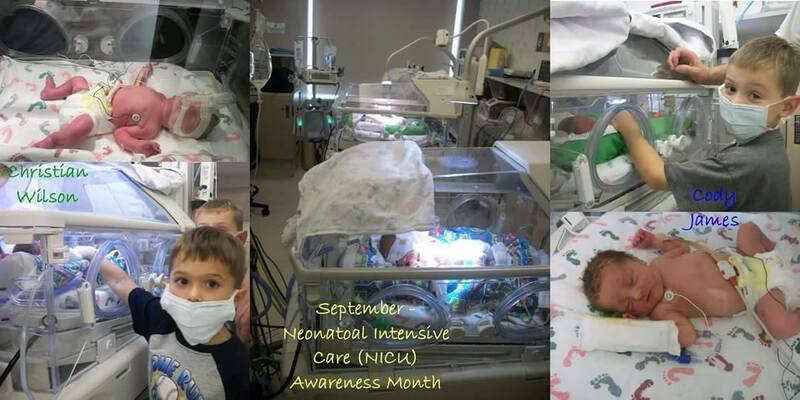 After the babies were born and I came in for post c-section appointment, I was able to bring them out of the NICU. They were doing fantastically well. I saw the OB in the hallway and made sure she was aware they were BOTH present and BOTH survived. This was my journey with the unknown and my frustration with potentially ignorant, or misinformed doctors. It was also our journey of finding those that helped save our boys. This is only at hometown perspective, not surgical perspective. If you, or anyone you know, is pregnant with multiples please visit the TTTS Foundation’s Website. Thank you so much Amanda and Andy for sharing your story. Please feel free to leave comments and/or questions below. The internet is such a wonderful place for finding support and friends when you need someone who knows what you are going through. I’m glad you were able to find that and it’s great that you can now share her story! My sister-in-law is going thru a lot of this right now. I love sharing these stories with her to give her hope and strength! I have learned so much from reading today. I do not have any children but my boyfriends mom is a twin, so we could potentially have twins one day, so this is really helpful to know. I’m so glad everything worked out for Amanda, Andy & their boys! Wow, it’s scary to think how much her OB didn’t know or tell her! So glad the family is doing well and that she made it so far into her pregnancy! What an amazing and heartwarming story! I am a twin myself! What a great story! Loved reading and got a teensy bit emotional! Thank you for sharing! Wonderful! What a great story, thanks for sharing! And how cute are those kids! Thank you for reading and helping spread awareness! My niece had twins, so she saw your story and loved it. Thank you so much for sharing it with her. I really appreciate it. Wow, my heart is all anxious just reading this story. I can not even fathom the level of concern you must have had from week 7 till the day they were born! Thank you for happy endings and your two beautiful boys! What a journey for Amanda and her family. I am so glad to see that the outcome was a very favorable one! 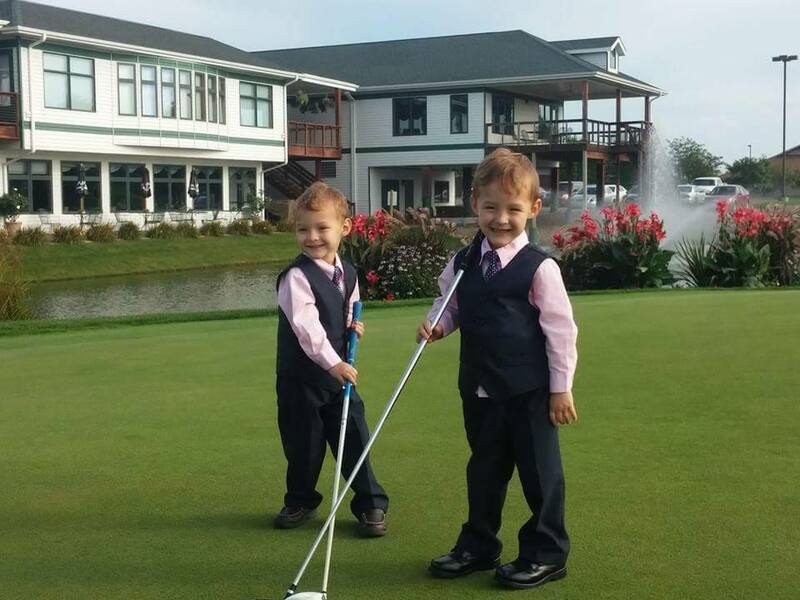 Cody and Christian are beautiful little boys!